Digital World Biology’s education-based services include community development, teacher training, and bioinformatics workshops. In addition, we provide technical and business consulting service in genomics and bioinformatics. Supported by thirty years of academic and industrial experience in research, software development and customer engagement, Digital World Biology provides business and technical consulting to help organizations develop strategies for genomics and bioinformatics businesses and research endeavors. Consulting services are under the leadership of Todd Smith PhD., (@finchtalk) who founded the bioinformatics software company Geospiza and led the firm through its acquisition by PerkinElmer in 2011. Digital World Biology is experienced in developing community-centered websites and communication support tools needed to recruit and engage active participants. We use a modern web-based content management system to create web experiences that evolve with community participation. The Bio-Link.org community site and Biotech-Careers.org are flagship examples that demonstrate the kind of resource that can be created as participants and developers come together with a common goal to develop a living resource. We provide assistance in developing short and full (quarter, semester) courses tailored to meet your needs. Similar to our community development, we employee a web-based content management system to engage students. Through this platform, teachers communicate with students and post lectures and supporting materials. 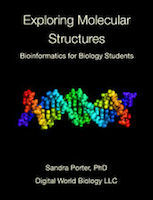 A unique strength is the ability to provide inquiry-based instruction that allows students to learn modern biology using several bioinformatics resources. Other value-added capabilities include user forms, quizzes, and specialized datasets that increase learning through active communication, self directed testing, and exploration. Yes! We'll travel to your college or high school and conduct a professional development workshop. Customized training can be designed to meet your needs. References provided on request. Digital World Biology LLC (DWB) has been creating data-driven websites based on the Drupal open source content management system since 2008. Sites created by DWB serve over 500 users, support hundreds of thousands of visitors, house databases with over 10,000 pages of content, entries and support diverse activities from event registration, blogs, dynamic content, and custom reports to classroom support and on-line learning. DWB provides additional services including social media integration, project management, on-line newsletters, and data analytics.